It's that time of the year again - 6 weeks out - The 34th annual Pittsburgh Vintage grand Prix! This is really becoming a world class car event. Come join hundreds of your fellow p-car enthusiasts as we again gather on the lawn at Schenley Park to enjoy our cars and the races. Now is the time to register and get this event on your calendar. The PVGP takes place in scenic Schenley Park in the heart of Pittsburgh. This is one of 2 vintage races that occur on public streets in the world, the other being Monaco. It is also a significant charity fundraiser – proceeds are donated through the PVGP to the Autism Society of Pittsburgh and the Allegheny Valley School. • Weekend kick-off at the Double Wide restaurant in Cranberry Township PA – our local Club (ARPCA) will host the out of town clubs travelling to participate in the PVGP. This year PCNA is sponsoring, and there will be goody bags given to the first 150 cars! The venue is right next to the hotels and turnpike just North of the City. 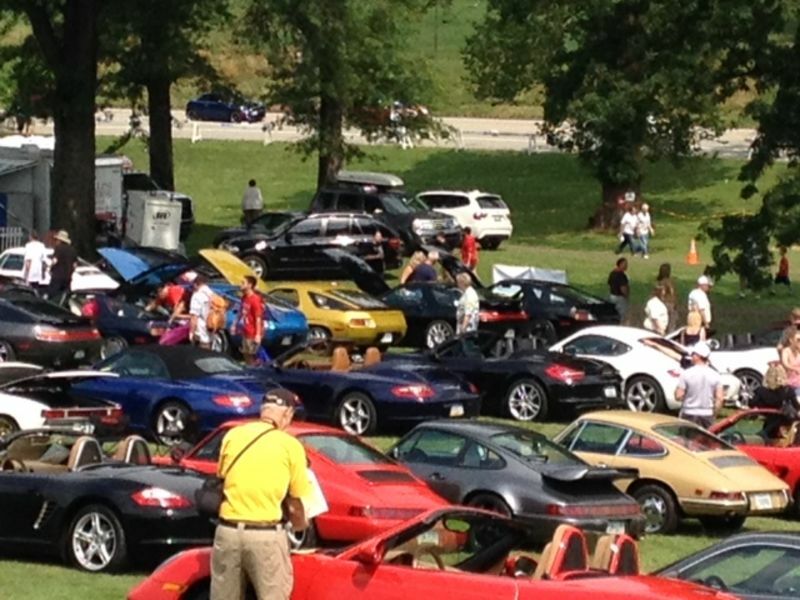 It will also include a nice impromptu gathering of Porsches of all varieties. All local and distant sharks welcome. Starting at 5 pm to ? In addition, there are many other events taking place in the week and a half up to race weekend, including the big bore historic races at Pitt Race on the weekend before, and the Walnut Street Invitational Car Show, among many other car events. To Register, go to our Club's website at ARPCA.com | 2016 PVGP. Limitations on refunds apply. Also, we have a group rate of $109.95 at the Pittsburgh Marriot North in Cranberry Twp, PA. Mention our club (ARPCA) to get the discount. more details on the ARPCA website. Wow looks like a nice fun-filled evening - love to see some post photos. Any updates? We can put up some pictures afterwards, but the PVGP site has some from prior years - http://www.pvgp.org/featured-car-shows/; also Porsche Car Show -. Anyway, the event is only one month out now. time to sign up. We also have very cool raffle prizes, including 2 PEC gift cards from PCNA, a major sponsor of ours this year. It's July 1st - 4 more days to register for the 34th PVGP party in the park! Registration closes July 5th, so register this weekend. Go here: ARPCA.com | 2016 PVGP and link through to MSR. Easier than buying something online through Amazon!